The E28 generation BMW 528e with the 2.7 liter ETA engine is a great car if you don't mind being passed by most modern cars...but you've got that smug look on your face because you know there is more to life than driving fast. Except today, you know something that new BMW driver doesn't know...this car isn't left handed. 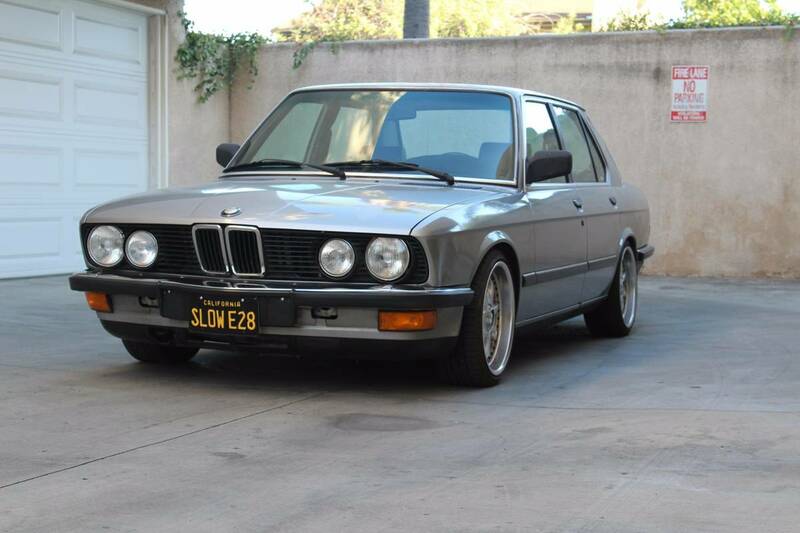 Find this 1987 BMW 528e with LS1 V8 offered for $20,500 in Reseda, CA via craigslist. Tip from Sean. Lofty price aside, this is a really wicked car -- the LS1 looks nicely installed (with functioning AC) and is mated to a 6-speed manual T56 gearbox. Power heads to a 3.73 small case rear end with a limited slip differential...win-win-win! 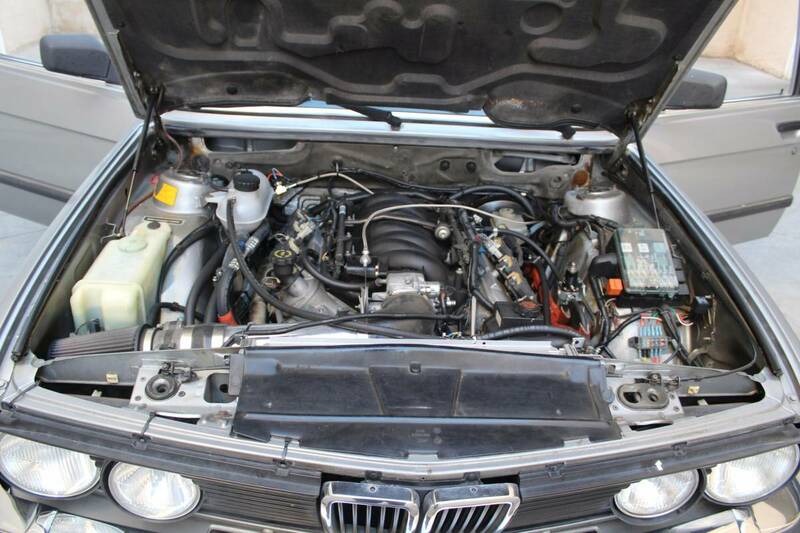 Up for sale is my 1987 e28 with an LS1 swap with working AC and heat. All work was done at JMP AutoWerkz in Reseda. The list of work done/parts involved is not all inclusive as I will not remember every nut and bolt used to complete the build. -New euro bumpers rubber trim. -Custom 3'' exhaust,with mid section muffler, high flow cat, and rear magnaflow muffler. Asking price is $20,500 Please don't waste my time or yours with low ball offers. Willing to consider partial Trade+Cash mostly for e36M3 or clean coupe e30s. I wonder what version of m5 could it eat? I bet it can just fry the tires. Totally. Seller mentions updated suspension components, but with a conversion like this hopefully he stiffened it up a tick... and it's begging for a strut tower brace to boot. Betcha it's fun indeed! 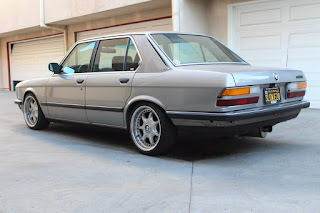 The E28 isn't a heavy 5-series when it starts and I don't think the LS1 adds much (if any) mass -- so expect the power-to-weight to be pheonominal. Electronic trickery and fat rear tires of the modern sports sedan will mean that beat it to 60mph from a standstill, but I bet this thing would eat most takers from a roll. Great car if you live and drive in LA, but where would you get it serviced elsewhere? I love that license plate, probably surprises lots of drivers! I love the e28 on the trunk lid.